What is an umbrella policy for car insurance? What is an umbrella policy for auto insurance? You never know how much auto insurance is enough. Since there’s no way of knowing when you’ll have an accident and how serious the accident will be, you can never for certain say that your coverage is sufficient. Buying low limits of liability to save money can be a very expensive and very financially devastating mistake. Unfortunately, carrying high liability limits on your policy doesn’t mean that you’re going to be protected all of the time. Even a high-limit auto insurance policy isn’t enough after a tragic catastrophic loss. The only way to really feel secure when you’re driving is to buy a Personal Umbrella Policy. Let’s discuss what you must know about these supplemental policies. If you are also looking for better auto insurance rates, start comparison shopping by entering your ZIP code above! What does it mean when someone refers to third-party car insurance coverage? What does Bodily Injury Liability pay for? What does Property Damage Liability pay for? How do you know what your liability limits are? What happens if the damages exceed your limits? How does a Personal Umbrella Policy help? Is a PUP separate from your auto insurance? What are the requirements to qualify for a PUP? A lot of different terms are thrown around when you’re discussing auto insurance with an agent or customer service representative. When you’re talking about coverage requirements or components of your policy, the word third-party coverage may come up. For those who aren’t familiar with the term, third-party coverage refers to liability protection. Third-party liability protection is the one form of coverage that’s always required when insurance is mandatory. Liability coverage consists of Bodily Injury coverage and Property Damage coverage that pay for damages to others. 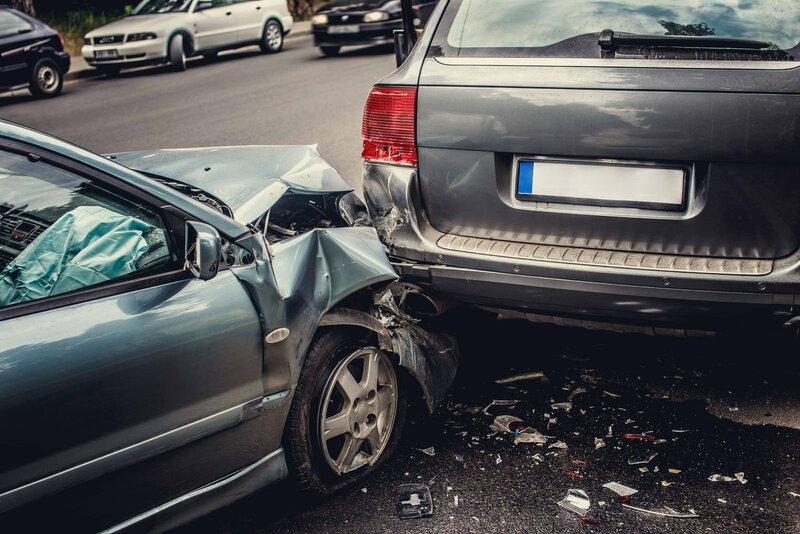 The only time that your policy will pay out for these third-party damages is when the driver in your vehicle is responsible for the incident leading to damages or injuries. If you’re in a multi-car accident or you hit a pedestrian, your insurer will investigate the loss and offer a settlement when you’re at least 51 percent liable. Bodily Injury, which is also called BI, doesn’t pay for just anything. This coverage will only pay for eligible third-party expenses. Property Damage Liability may help you cover the damages that you’re liable to pay for if you get into a single-car or multi-car accident. As long as you’re more than 50 percent at fault for the damages, you’re liable for paying to repair any type of property that you’ve damaged. Your insurance company isn’t going to provide you unlimited protection when you’re in a crash. The only way that a carrier can calculate your premiums is for you to choose a maximum limit of liability that you’re willing to pay for. The minimum liability limit that you choose must be equal to the state’s minimum requirements. The mandatory limits required in each state are different. If you selected basic coverage limits, you’ll have the minimum limits and may be at risk when you get into anything but a minor accident. If you cause damages that exceed the limit that you’re paying for, the injured party can sue you. It’s their right to collect the difference and a judge can order that your assets be liquidated or that your wages be garnished. You could be paying for a loss for the rest of your life if it’s serious enough. A Personal Umbrella Policy isn’t an auto insurance policy. Instead, it’s a supplemental personal liability policy that provides you with extra protection in addition to the liability coverage that you’re carrying on your property insurance policies. It’s called an umbrella policy because it offers blanket protection so that you don’t have the gaps you would otherwise have. There’s a relation between a PUP and an auto policy, but they are two separate plans. You will have a different policy number and may even buy your PUP from an entirely different carrier. You still need to provide proof of your auto insurance, home insurance, and other property insurance before the additional coverage will be offered. You must have underlying property insurance with adequate limits before you can apply for any Personal Umbrella Policy. It’s typical for the company to require you to have at least $250,000 per person and $500,000 per accident in BI coverage. You’ll probably be required to show that you have $300,000 in Personal Liability coverage on a home policy, a boat policy, or another type of property policy. Umbrella policies can really save the day when your liability limits are exhausted after a claim. Instead of worrying how you’ll pay for things out of pocket, you have another policy to lean on. PUPs provide a minimum of $1 million of extra protection. If you think that you need a PUP, you should start by getting auto quotes for high-limit policies. Use an online auto quote tool and find out what a policy with the required limits will cost you. Start comparison shopping for the best auto insurance rates with our FREE online quote tool! Enter your ZIP code below!